Do you have a little princess at home? My princess is nine now but she used to own every Disney Princess from the Disney Store and just about every costume as well. Sadly, we’ve reached the age when “princesses are for babies”and to be honest we probably did a couple of years ago. A girl at school said this phrase to my daughter a couple of years back and it stuck. Suddenly it wasn’t cool to like princesses and the fascination vanished overnight. That one phrase from one person can change everything. Something that someone loved, but they feel they can’t admit to it because someone else thinks it’s silly. Despite this, she lets me call her “My princess”, because that’s what she is and she still loves pretty things and lots of sparkle. 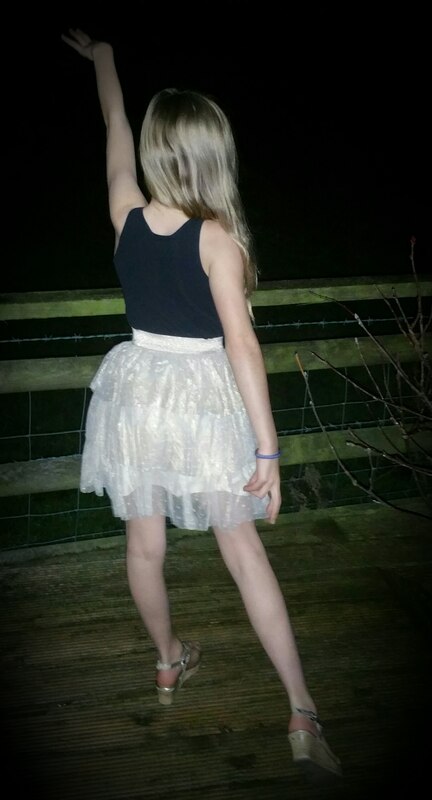 Christmas is a lovely time to “get your sparkle on” as Barbie would say and this season Vertbaudet have got a super range of party wear with that little bit of princess sparkle, like this Lined Tulle Tutu 3-Tiered Skirt . At the moment this is a total bargain at £11.25 (normal price £15.00). This comes in four colours which are all lovely, great for parties or just because every little girl deserves to feel like a princess. Are your little princesses growing up too fast? Anyone know how to put the brakes on?